We found out when we arrived that it was the first day of her 8:00 Thursday class. It was lucky for us because it meant that the class wasn’t too big and Della got to have her space. She craves her space when she’s dancing Zumba! Eric was excited because, even though the class was small, he wasn’t the only man! We area heading back to Athens in a few days to meet up with Della’s family (yay!) and there might even be time for us to head to Maria’s class again! Super excited! Being Maria’s zumba student, one thing is sure!! 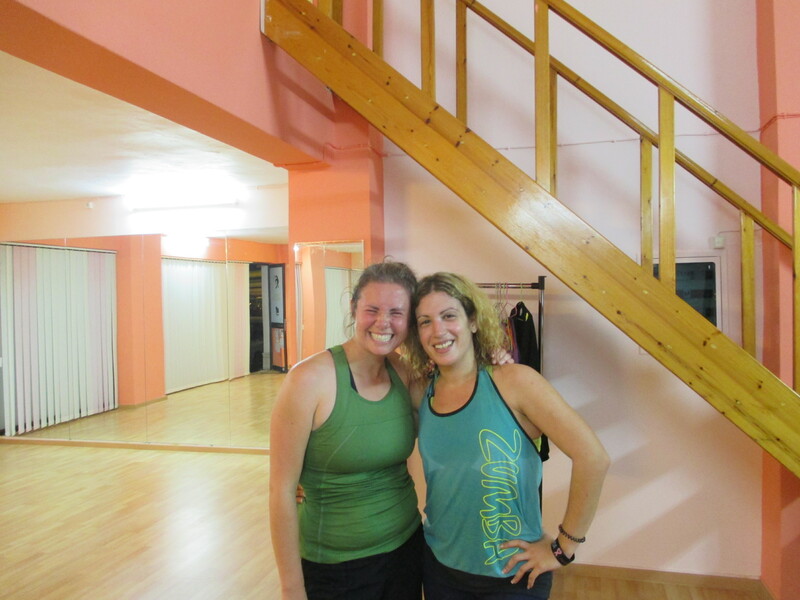 !her class is amazing and loved zumba because of her!!!!! !